the little boy loves watching hi-5. he knows the songs, follows the dance steps and imitates whatever it is being done on-screen. 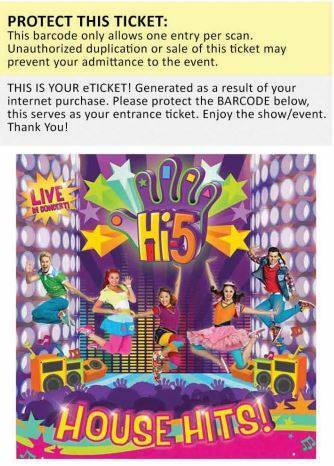 the hi-5 gang has already been here a couple of times before, but we were not able to watch them. so when i read at ticketworld that they will be back this december, i was already on the lookout for tickets. yesterday, i read a tweet from ticketworld announcing that the tickets are now being sold exclusively first to hsbc cardholders. good thing our company’s payroll is thru hsbc, that is why i have a debit card which i can use. in addition to being the first ones being able to purchase tickets (best seats are being sold fast), the hsbc deal also comes with an additional 15% off the ticket price. this exclusive deal is available from july 22 – august 22, 2014. tickets will then be available to the public by august 23.
it’s a little sad that this is already the new cast as the little boy is more familiar with tim, fely, casey, stevie and lauren. nevertheless, i am sure he will still enjoy. lea salonga is one of my favorite singers… ever. i follow her on twitter and instagram. 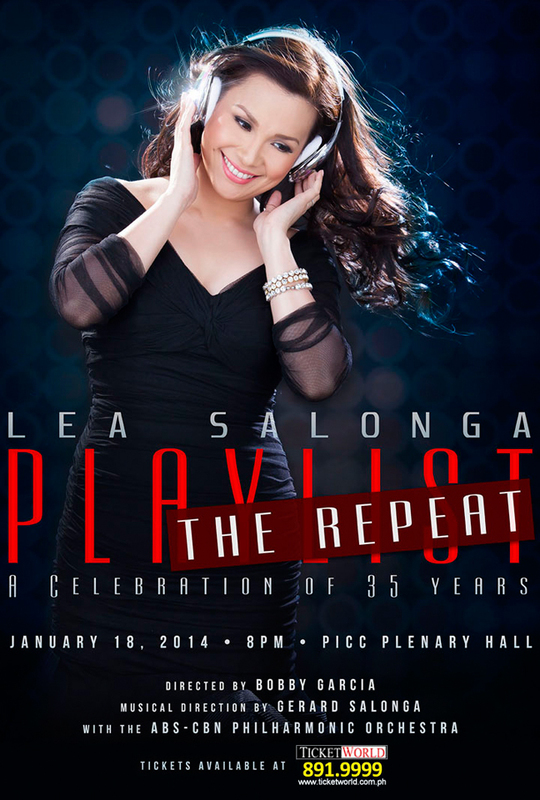 so when she had playlist last december 2013, i was kind of sad that i would not be able to watch since the dates coincided with the celebration of my mom’s 60th birthday. so when she posted in IG that there will be a repeat of the concert, i was very excited. so excited that when i logged into ticketworld moments later, the tickets were not yet available online. 😉 i immediately texted my mom and uncle and invited them to watch the concert with me. come concert day, we first had our dinner at the chicken rice shop at harbour square (will do another post on this) and then walked over to the picc plenary hall. there was a large crowd and you can see people of all ages and type. this will tell you that the appeal of lea is really global. concert was supposed to start at 8pm, but it started at around 8:30pm. the stage was simply designed. the orchestra was at both sides of the stage, and a white “bridge” was in the middle. there was also a chair, a table with glasses of water and a mic stand. there are 8 mini projector screens hanging which either shows “PLAYLIST” or pictures or some random background whenever lea is singing. the guests included mitoy yonting (the 1st winner of voice of the philippines – from team lea), rachelle ann go (she will be playing gigi on the new production of miss saigon), martin nievera and a surprise number for lea’s daughter nicole. it was lea singing for most of the show except for the solo performances of the guests which she used to change her wardrobe. after every song/set, lea chats with her audience giving a background on the song or just generally commenting on it. i would say that the concert is worth every penny that we paid. 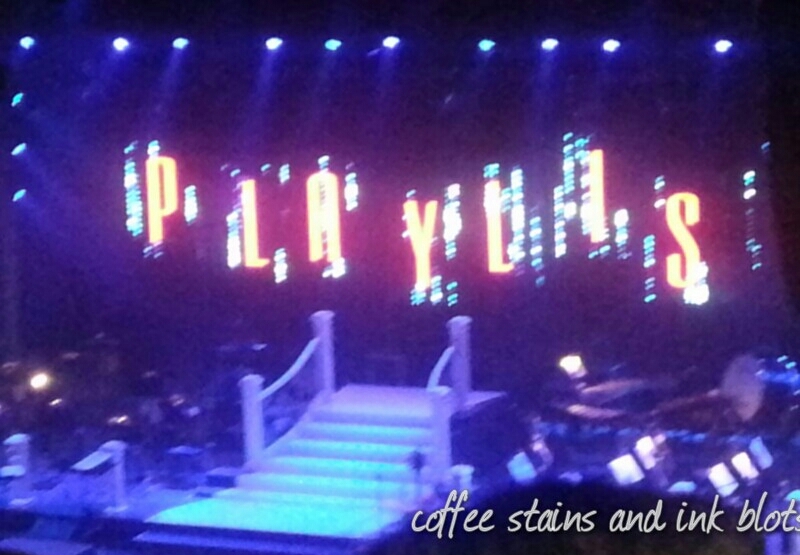 you can never go wrong in attending a lea salonga concert. it really feels like you are just talking with a friend through the medium of songs. even after the concert has been finished, lea’s clear voice still resonates in your mind. there was a signing of autographs and “meet and greet” after the show. unfortunately, we had to go home and could not stay. i will definitely be on the lookout for the next concert.